Work Experience in U.S. will be considered among the ranking factors by Quebec. The new information released by Quebec on Wednesday addresses the details about ranking and organizing methods regarding the candidates in Quebec’s Expression of Interest Bank as the new skilled workers. Another consideration by this ranking system is the work experience gathered in the United States. This makes it the sole Canadian immigration system that takes work experience in the United States into consideration while raking candidates. The candidates of QSWP or Quebec Skilled Worker Program would be classified into two groups after they submit their profile to the newly started Expression Of Interest bank. One group is designated for the candidates who have a job offer or are permanent residents in Quebec having matched the specific criteria. Another group is for those candidates who live outside Quebec. Have work permit with validity of twelve months or more than that. They can also have full-time job experience for about six month and are currently working on a full-time basis. As for the first group, the ranking system works in regard with the obtained marks from the seven factors described below. By following the “Skill Transferability” combos, the candidates in the first group are eligible to earn points. French language proficiency and work experience in foreign countries along with that in Canada or US countries. French language proficiency and conventional education along with Canadian or US country work experience. Now, the second group is dedicated to those candidates who reside outside Quebec. The Skill Transferability Combos, as listed above for the first group, are also applicable for the candidates in this group and for this, they are eligible to earn points. The point structure of skill combos and other factors are not given in detail by Quebec. According to the regulations, MIDI (Ministry Of Immigration) of Quebec is allowed to issue immigration invitations for applying for Certificat de sélection du Québec, or CSQ or Quebec Selection Certificate. It is bestowed only to those highest scorer candidates or to those with priority who are selected according to the selection conditions and criteria. After revisions, the Immigration Act of Quebec states that invitations can be issued according to the criteria of the ability of any foreign national to stay and settle in Quebec successfully, such as for occupation, trade or training. Another criterion regards any tourist destination in a specific region of Quebec or the country that has fallen victim to humanitarian crisis or existence of any international commitment. The recipients of the invitation for applying for CSQ would have to obtain the cut off marks needed for a program which is based on QSWP Points Grid before submitting the application. Is This Sort Of Express Entry? The similarities between federal Express Entry System and Expression Of Interest’s ranking system in Quebec are obvious, so are a few major differences. 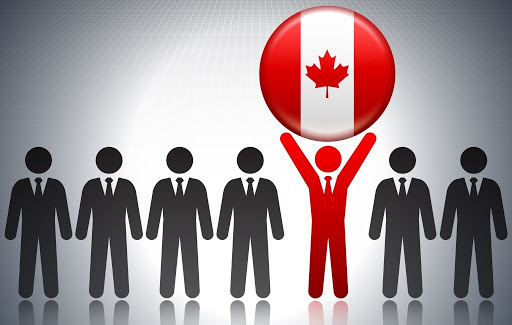 The candidates in Express Entry Pool are from Canadian Experience Class, Federal Skilled Trade Class and Federal Skilled Worker Class. Invitation rounds held by Express Entry take place regularly such as once in two weeks. Over eighty six thousand candidates for the application of permanent residence in Canada were invited last year. Like Quebec, Express Entry manages candidates of all the three classes while ranking them according to the Skill Transferability Combos and factors of core human capitals. Additional points were awarded to those having sibling(s) residing in Canada, having job offer from Canada, education from Canada, Proficiency of French Language and also having provincial nomination. For provincial nomination Program, the additional points can range from fifteen to six hundred and it helps candidates for a fast-track processing of getting permanent residence. As for now, the outlined ranking details of Quebec do not mention any additional ranking factors. But a similar effect of fast-track processing is thought to take place for a division of the two groups of QSWP candidates depending upon the fact whether they got any job offer, work experience or education from Quebec. The two groups division in the Skilled Worker Program of Quebec might incur some result which has similarity with the program-specific draws of Express Entry. It might be limited to a group of immigration candidates, that is, Provincial Nominees or those from the Federal Skilled Trade Class. What we learned so far regarding the Expression of Interest system of Quebec, it can be said that transparency will be one of the vital differences between Expression Of Interest and Federal Express Entry System.